We do NOT collect private information on ElfHQ.com. A child will never be asked to provide personal contact information or to reveal identifying information of any kind. 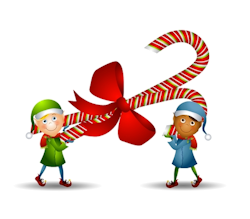 We believe all sites associated with Santa Claus should be informative, fun, commercial-free and fee-free. We have nothing to sell on this site, just as Santa wants it. We do not share information with third parties. We do not use browser “cookies” or other technology that tracks our site visitors in any way. We DO employ software that safeguards the site against hackers and identifies malicious activity that allows us to pursue legal action against them for disrupting the site and being Scrooges. These technologies are invisible and completely safe for legitimate users of the site.